Like each Lhasa-bound train, the train to Lhasa from Chengdu is also especially built for the high altitude environment and equipped with advanced facilities, such as air-conditioning, supercharging system, oxygen supply, altitude display, etc. Like each Lhasa-bound train, the train to Lhasa from Chengdu is also especially built for the high altitude environment and equipped with advanced facilities, such as air-conditioning, supercharging system, oxygen supply, altitude display, etc. The train is also tightly sealed so as to firstly keep the inside air pressure normal and secondly prevent passengers from littering. Besides, all the carriages are installed with double-paned windows and ultraviolet filters to protect passengers from ultraviolet radiation. Nowadays, the train journey is extremely popular for its breathtakingly unique scenery along the railway from Chengdu to Tibet. In fact, so far there are three kinds of accommodations available on Chengdu-Lhasa train, i.e. Soft sleeper, hard sleeper, and hard seat, of which the most comfortable one is soft sleeper. The soft sleeper consists of 4 bunks and promises more piracy and comfort, which is highly recommended. While the hard sleeper is made up of 6 bunks and the living space varies slightly. The lowest bunks enjoys the largest living space whereas the top bunks is cramped. The cabin of hard sleeper has no independent door to close when tourists want to sleep.Hard seat is not recommended given the long ride and nothing is more important than having a sound sleep. 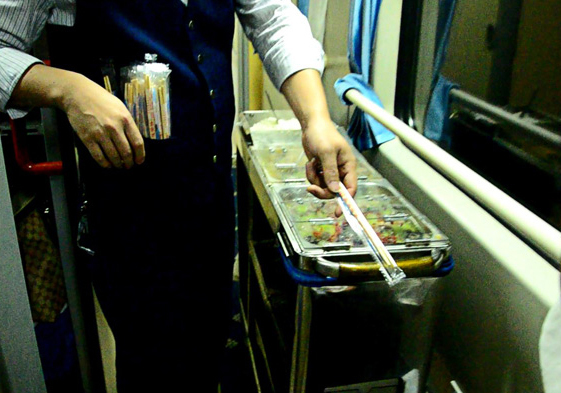 It is advisable to buy some instant noodles, snacks and fresh fruit before boarding the train. Eating snacks is a good way of killing time and sharing your food with roommates can also be an effective way to break the silence. Boiled water is available 24 hours near the sink, which can be used to cook your instant noodles or make tea. ** Trains depart from Chengdu and Chongqing respectively, for example, Odd days in a month from Chengdu, and Even days from Chongqing. If unfortunately, Chengdu to Lhasa Train does not departs on your date or you miss the train, you may take a fast train to Chongqing which is only 1.5 hours distance, to take train there the other day to Tibet. *** Do remember to bring and show your personal passport, Tibet Travel Permit and train ticket to the train inspector before boarding. It is also advisable to have a few copies of Tibet Travel Permit since you may be checked many times about the relevant documents during the train ride. Just do as the staff of railway station says. *** Chengdu has currently two railway station, Chengdu North Railway and Chengdu East Railway, Chengdu to Lhasa Train departs from North Railway Station. *** Away from the entrance of Chengdu Railway Station are many green taxis waiting for newly-arrived travellers. 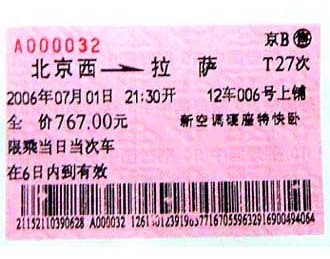 *** The ticket inspector is checking tickets at Chengdu Railway Station when travellers are boarding the train. 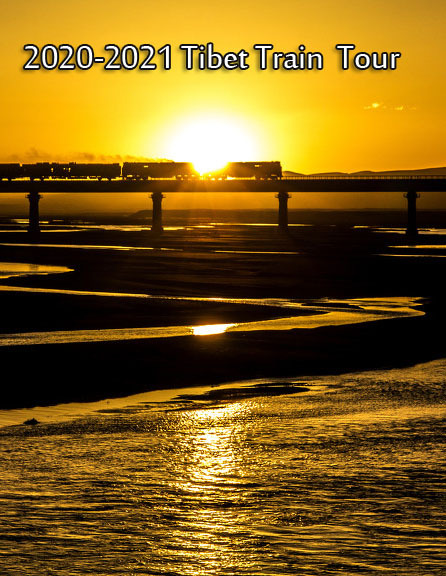 To individual tourists, the best solution is to contact a reliable travel agency and book the Chengdu-Lhasa train ticket at least one month in advance. Travel Tibet China can provide such timely tickets booking service, and also offer “Train Ticket + Tibet Tour” packages.